Designs for Health is a professional supplement brand that offers a wide range of nutritional products. 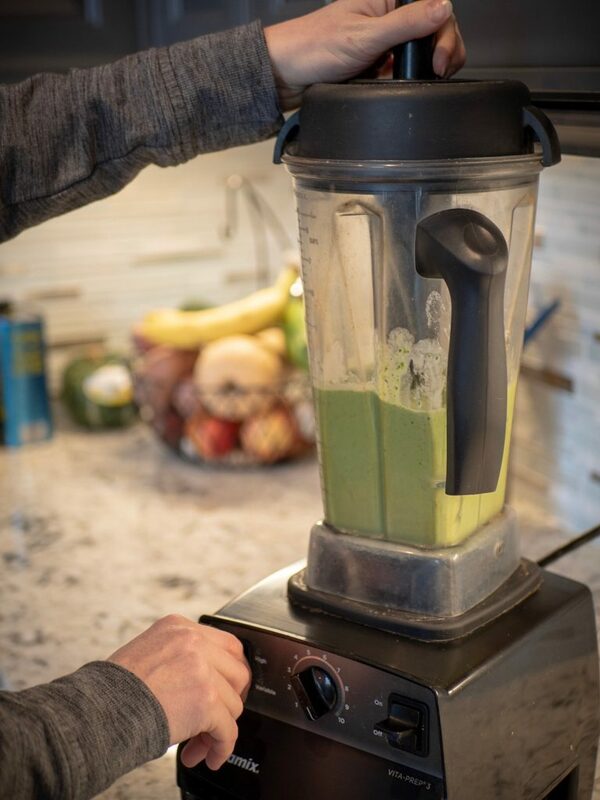 DFH makes several high quality, great tasting protein powders that we absolutely love! For instance, WheyMeal, Pure Paleo Protein, and Pure Paleo Meal. Protein is made up of building blocks called amino acids. There are 20 different amino acids. Eight of them are essential. Unlike fat and starch, the human body does not store excess amino acids for later use. Our bodies can only produce the non-essential amino acids, therefore, essential amino acids must be supplied from food and/or supplements. In general, you want complete proteins because they contain meaningful amounts of all eight essential amino acids. Whey protein is nature’s richest source of biologically active protein. 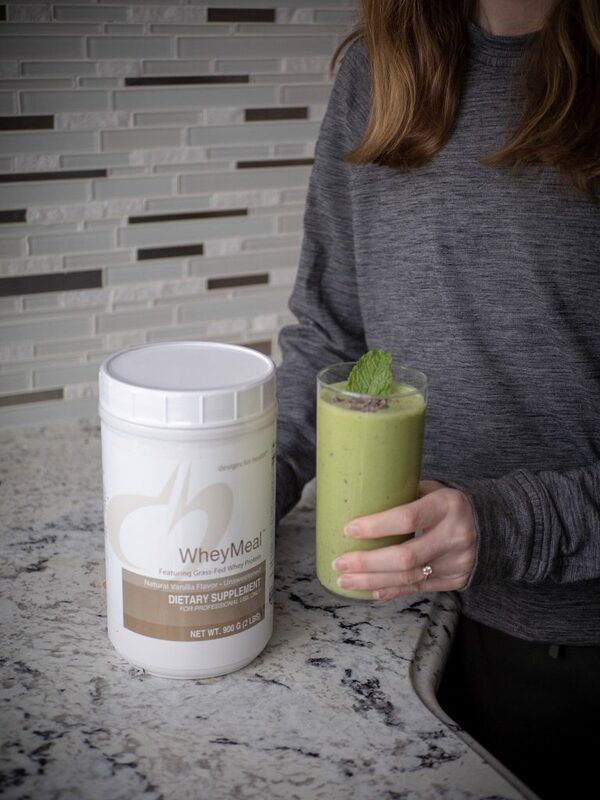 Unlike soy protein, which is low in the amino acid methionine, whey protein contains all the amino acids the body needs in the best balance yet discovered in any food. 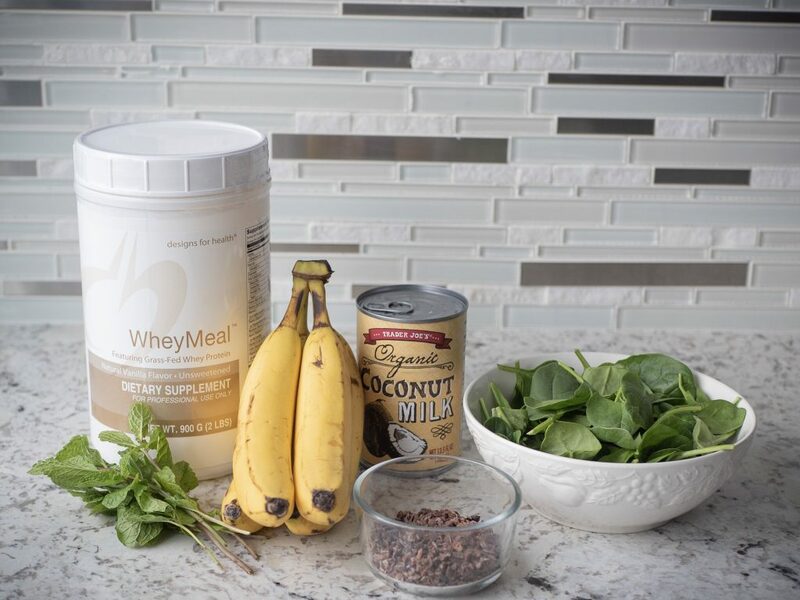 Whey protein provides a good source of the amino acids cysteine and leucine. These amino acids support the production of detoxifying elements needed to eliminate mercury from the body. Comes from herds that graze year-round on disease-free, pesticide-free, chemical-free, natural grass pastures, therefore, are never subjected to any growth hormone treatment, chemical antibiotics or GMOs. Ideal formula for patients who need support with weight control, GI health, detoxification, immune health, heavy metals, and muscle gain. Whey protein is very filling, making it a useful addition to a weight loss diet. 1. Place all ingredients into a high speed blender, except for the cacao nibs, and blend until smooth. 2. 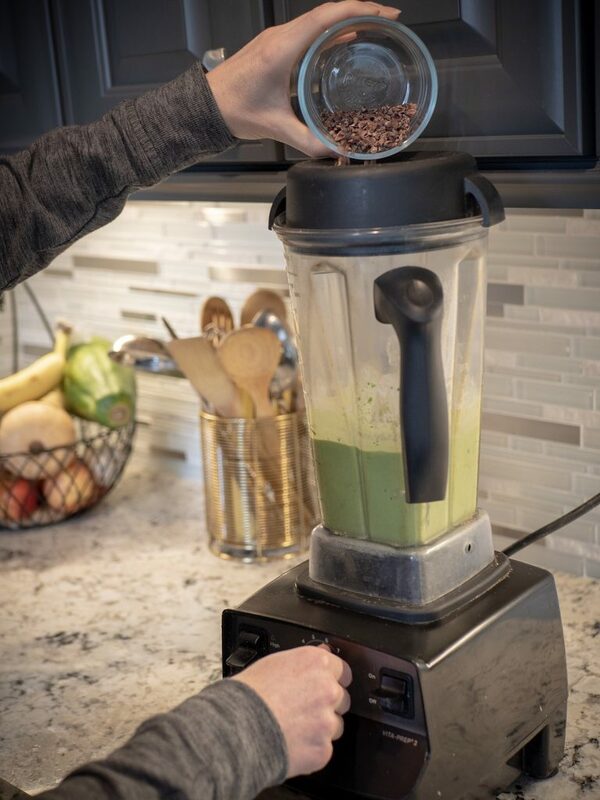 Turn the blender off, and then turn it on low while you slowly pour in the cacao nibs. Pulse the blender until the cacao is finely chopped. 3. After that, pour into a glass and enjoy! Let us know how you like this recipe! Tag us on Facebook and Instagram with your favorite Designs for Health products! View all of our Designs for Health products here.